I think the ligurian cuisine is one of the best in Italy and it worth a try while you come on your holidays. 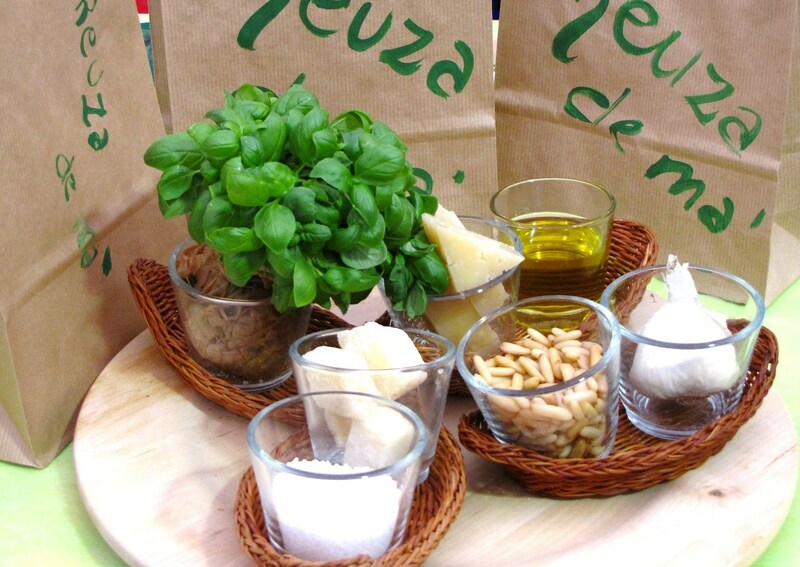 It is a cuisine reach of aromatic herbs such as basil, sweet marjoram, sage, laurel, rosemary, fennel and more. These herbs grow in abundance and their taste is great thanks to a special climate which comes from the Mediterranean sea breezes, the mineral-rich soils and the mountains. Liguria, in fact, is a tiny land squeezed between the mountains and the sea and it benefits of this position. The forested hills grow wild pine nuts which are famous in the ligurian dishes. Chestnuts and mushrooms are particularly abundant and they are used in recipes such as the delicious castagnaccio. With rabbits and more, ligurian people make great traditional dishes not to be missed, especially if cooked by local people in the typical trattorias of the hinterland. Thanks to the proximity of the Mediterranean sea with its warm air, there are good conditions for growing wine grapes, olives (the most famous is the taggiasca one), vegetables such as zucchini, eggplants, chickpeas, artichokes and more! At last, because the Italian Riviera is on the coast we can’t forget the seafood. Here you can find many different seafood recipes which are exquisite and are authentic and simple as they were in the past! The most popular, not just in Italy, which is made by simple ingredients, today is D.O.P. protected. Basil, pine nuts, parmigiano cheese, pecorino, garlic, salt and olive oil are the ingredients which give birth to this special sauce. 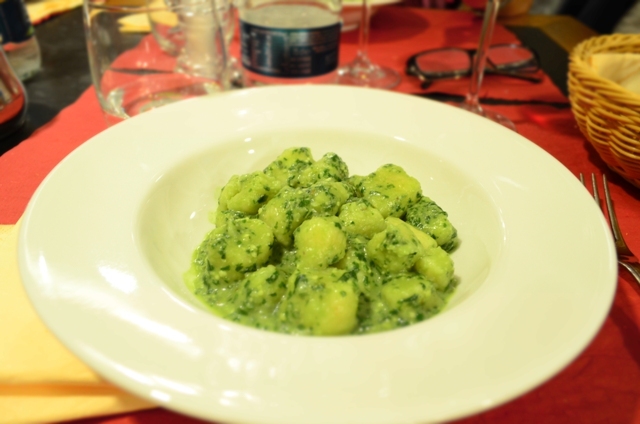 It is absolutely delicious with trenette pasta, gnocchi or even with lasagna. One of our experiences teaches you to make this special sauce in the traditional way. I suggest not to miss it. For Genoese people focaccia is almost a religion. You can’t believe it, but they love to eat it already from the morning in their cappuccino! I suggest you to have a try. Search for it in the many panifici you find in Genoa historical center and taste it, but remember, it must be golden and crispy, greasy and high up to a finger to be a perfect focaccia. Want to know where to eat it? 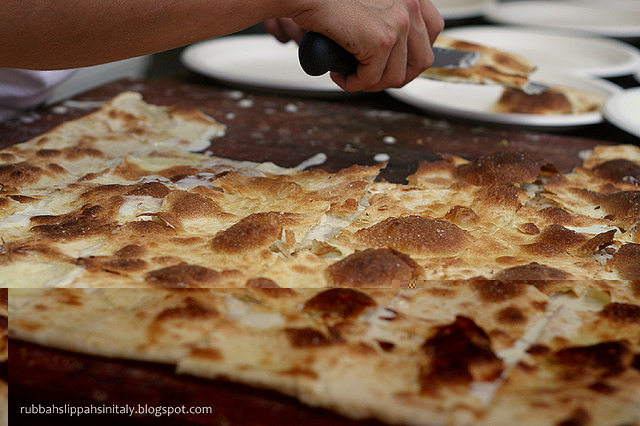 follow our top 5 list of places where to taste focaccia in Genoa and let us know which is your favorite one! Best eaten fresh from the oven, this is a very old and tasty recipe which is made of nothing more than chickpea flour, water, olive oil and salt and baked in a big copper pan. I suggest to try the anchovies from Monterosso, Cinque Terre. They have a great taste especially marinated with lemon juice, white wine vinegar and olive oil. Mussels, “cozze” in Italian, from the Gulf of Poets are famous in northern Italy. I love them with spaghetti or cooked just with some parsley, garlic and white wine! There are different kind of pasta which have ligurian origins. If you are at a restaurant, here are the ones to look for on a menu which I suggest. Trofie which is a rolled strip of pasta cut into little pieces and twisted into their final shape. 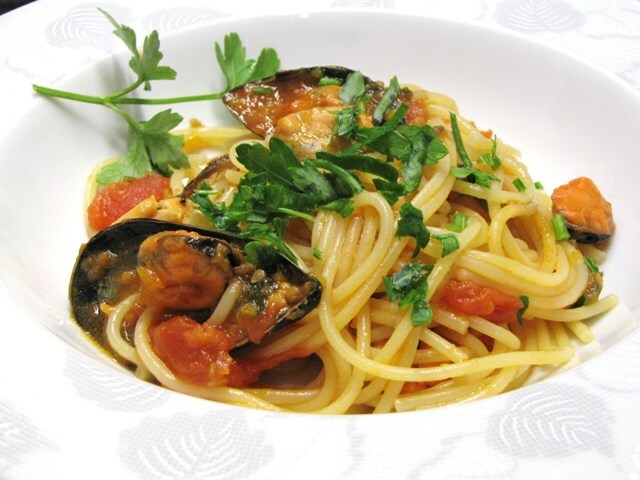 I love this pasta with seafood (mussels, clams, pieces of octopus…). A must. 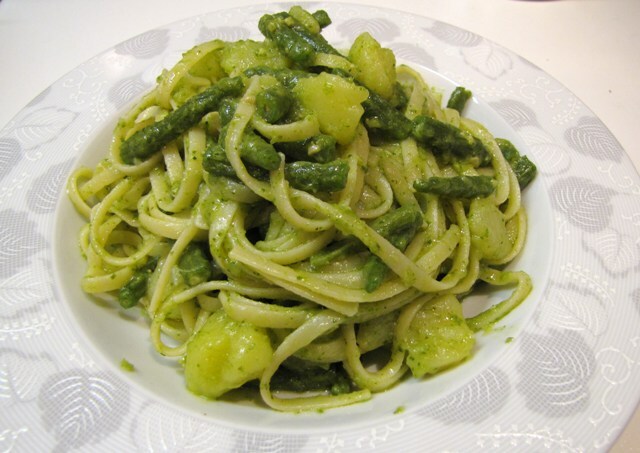 Trenette which is a pasta very similar to linguine or tagliatelle and are perfect with pesto sauce, cooked green beans and potatoes. Pansoti which is a pasta stuffed with ricotta, aromatic herbs and which is usually served with walnut sauce. But be careful, the walnut sauce must be made just of walnuts, olive oil, bread crumb, garlic and marjoram. Nothing more to be perfect. 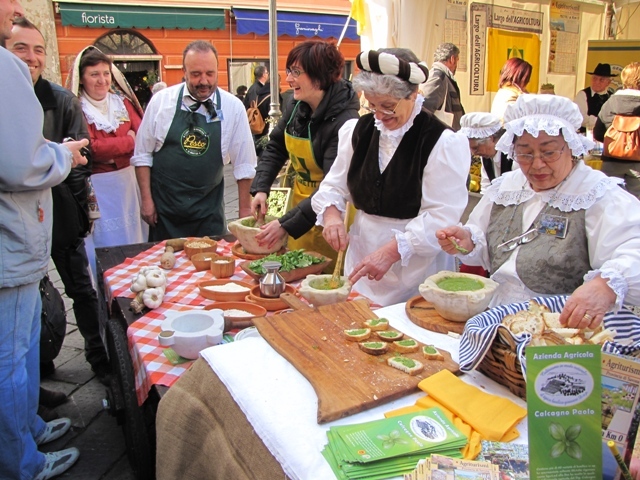 The cuisine of Liguria have preserved the value of the tradition. I think it’s absolutely beautiful that the old generation maintains alive these culinary arts and that is passing down from mother to daughter. I invite you to travel to Liguria with an eye on the gastronomic tradition of this territory and to meet local people who love to welcome you in their houses to learn a little bit more about the Italian living.